One of the major problems with this object is that there is no evidence whatsoever that the nodule was ever part of the Red Creek’s geology, which is the Lower Cretaceous Hensel Sand Formation. These deposits are thought to be roughly 110-115 million years old. Having acquired the object in the early 1980s, Baugh promoted it as a ‘pre-Noachian’ artefact (in other words, dating from a time before the mythical Flood of Noah). However, it was soon pointed out by a geologist that minerals dissolved from ancient strata can harden around a recent object, making it look impressive to someone unfamiliar with geological processes. In fact, the style of the hammer would lead us to recognise it as nineteenth-century in date and of definitely American provenance. Carl Baugh is the current owner of the London Hammer. He is the director of the Creation Evidence Museum of Texas. The museum features the London Hammer (London Artifact, as they call it) as one of their displays of evidence for creation. As with all extraordinary claims, the burden of proof is on those making the claims, not on those questioning them. Despite some creationist assertions that the hammer is a dramatic pre-Flood relic, no clear evidence linking the hammer to any ancient formation has been presented. Moreover, the hammer’s artistic style and the condition of the handle suggest a historically recent age. It may well have been dropped by a local worker within the last few hundred years, after which dissolved sediment hardened into a concretion around it. Unless Baugh or others can provide rigorous evidence that the hammer was once naturally situated in a pre-Quaternary stratum, it remains merely a curiosity, not a reliable out-of-place artifact. The stone concretion is real, and it looks impressive to someone unfamiliar with geological processes. How could a modern artifact be stuck in Ordovician rock? The answer is that the concretion itself is not Ordovician. Minerals in solution can harden around an intrusive object dropped in a crack or simply left on the ground if the source rock (in this case, reportedly Ordovician) is chemically soluble. The confounding factor in all this, of course, is that Baugh will not release the artifact for independent testing. He has had it tested, it is claimed, but not in a transparent way. The best conclusion I can draw from this is that the artifact probably isn’t an out of place artifact. Husband, father, skeptic, technologist, motorcyclist, hunter, outdoors-man, and evil genius. I am formally trained in computer science, physics, mathematics, and emergency medicine (paramedic, former). Mike Weaver, apparently an intellectual in his field, has injected a doubt to the archaeological dating of the London hammer to have it pre-supposed as discreetly done and not done in a formal transparent way. I’m a poor researcher wanting clarity on this matter as too, I’m biblically inclined believer but wanting sufficient proof for my belief. 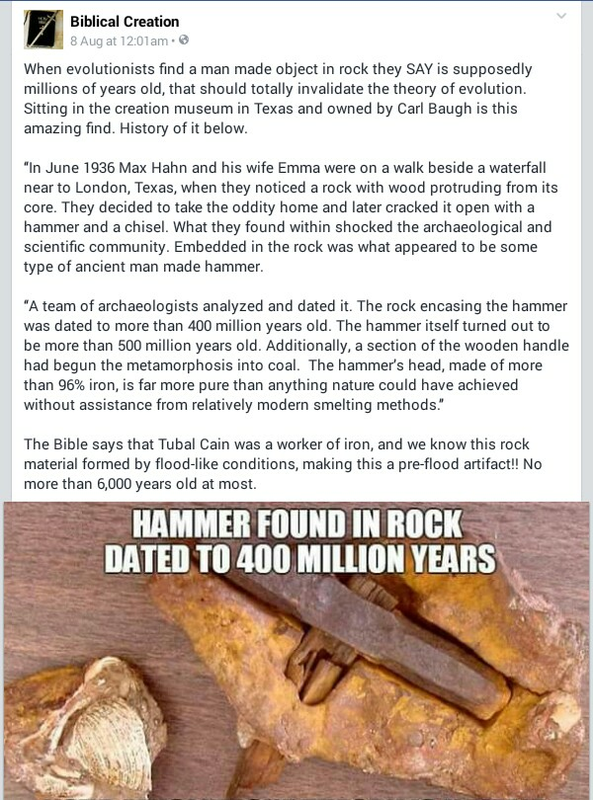 I’m obviously anti-evolution in that aspect of human evolution as proposed by atheists thus expectedly, i have high hopes for the london hammer as a real piece of evidence. But having doubts, i want to challenge a verifiable response from Mike Weaver who sowed the doubt how his inadequate words “not in a transparent way” been a valid reality. Mike, would you answer please? In addition, is there no consensus from the archaeological field regarding london hammer as originally proposed? Lastly, Regarding the artistic style of the hammer thought of as modern, it was only thought of as modern, it was not proven modern. 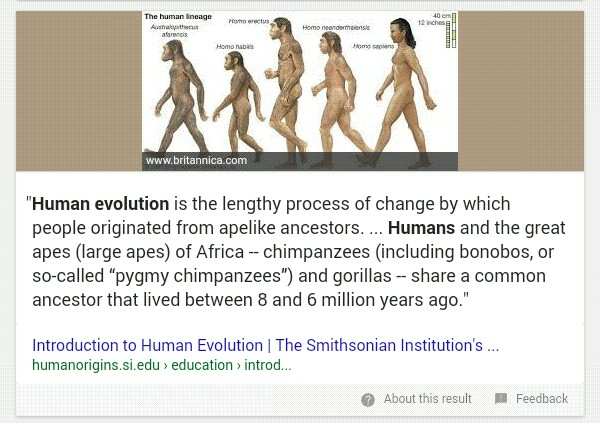 Why, cannot ancient people create crafts resembling modern creation? Its called coincidence. The ordovician rock that encapsulates the hammer is not actually ordovician as J.R. Cole expressed but minerals from the ordovician strata that dissolved and hardened around it. Could that not happened during the Ordovician timeline? The mere fact that Glen Kuban necessitates burden of proof from the proponents is that, there was not yet any conclusive factor that could harness certainty. Thus my challenge is firm, the claimed archaeological team that dated the hammer, was the dating formally acknowledged or not?